Authors – "Expertise, Right Across the Board"
There are several main authors and contributors involved in the writing of the Nexus conformal coating eBook. Why do we use different authors at Nexus? Using many authors allows us to bring knowledge from various experts in different fields of conformal coating, Parylene and other thin film technologies to users of Nexus. Conformal coating and its related industries is a complex process and we want to provide the best technical, unbiased information and help relating to the different areas. Therefore, we ensure the Nexus eBook is peer reviewed wherever possible. This means that the knowledge is checked for its technical correctness and unbiased detail by people who understand the nature of the topic. This ensures the users of Nexus have a much more valuable experience compared to commercial sites. Dr Hitchens has been working in the electronics industry and the area of conformal coatings for over 25 years in various areas including sales and technical support. He has also been training people for almost the same amount of time in all areas of conformal coating whether that is materials & equipment selection, process development or troubleshooting to help them solve their particular problem. Recently, he decided that the industry needed a specific place where all of the useful knowledge on conformal coatings could be collated for users to find easily and use in their own production process. So, Nexus was born and he began the Nexus eBook project. Karl works as the operations manager for SCH European in the conformal coating services for SCH Technologies. He has a wealth of technical knowledge relating to liquid conformal coatings and conformal coating processing on a practical level including cleaning, masking and inspection. SCH is a specialist subcontract coating service house and also supply conformal coating equipment coatings and masking materials. Jason is Curtiss-Wright’s representative in Europe for Parylene coatings services and Dimer supply. He has written a number of articles for trade publications and presents on the practical applications of Parylene in solving environmental challenges for high reliability electronics. Curtiss-Wright have facilities in North America and Europe that provide specialist Parylene coatings mainly for the Aerospace, Defence and Medical Device Industries. Jason has made several contributions to the Parylene Section of the eBook. Elder has been supporting the conformal coating and other industries for many years, with their broad range of masking products and low volume quantity. Kara works for Precision Valve Automation (PVA), a coating applications company specialising in selective robotic material application of conformal coatings and other liquid materials. Kara has made several contributions to the conformal coating selective spray section of the eBook. Warren is the founder of Thin Film Partners LLC, a company which offers end to end services in over 200 coating chemistries and virtually all platforms. His own background and experience is in the domain of CVD materials and tools, with primary focus on conformal coatings and specialty fluoropolymers. In order to provide the broadest selection of coatings and services to all industries, he manages a team of Scientists and Engineers comprised of 12 of the leading experts in all facets of MVD, ALD, PVD, CVD, conformal coatings, metal oxides/ceramics, amongst others. The vision is to provide customers with everything they need, from a complete range of coating solutions to custom chemistries, comprehensive technical training and instruction – basically everything, from one place. 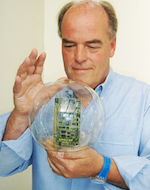 Warren has made contributions to the Parylene section of the eBook. Lloyd works for Diamond MT in Pennsylvania USA. They specialise in contract applications of conformal coatings including Parylene for military, commercial and medical applications. Lloyd has made contributions to the design rules for Parylene section of the eBook. 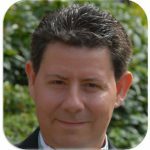 Craig is the sales manager of Paratronix, Inc, a Parylene subcontract coating service in the USA. 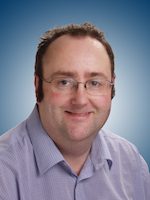 Craig has made contributions to the Parylene Section of the eBook. Bob currently operates training and consultancy business based in England and has created one of the largest collections of interactive training material in the industry. 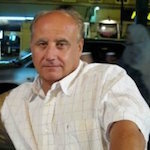 With his online training webinars Bob has provides cost effective solution to training and online consultancy worldwide. He regularly runs training for SMTA, SMART, IPC and recently EIPC. Bob has made contributions to several of the application sections of the ebook.